At Next Level, we have unisex piercers with 8 years of combined experience. We always have our finger on the pulse in the latest techniques and aftercare information to ensure you’re getting the best result. We provide a wide range of piercing services, anything from lobe piercings to micro-dermals. All our jewellery in the studio is the highest quality hypoallergenic titanium and medical grade bioplast. 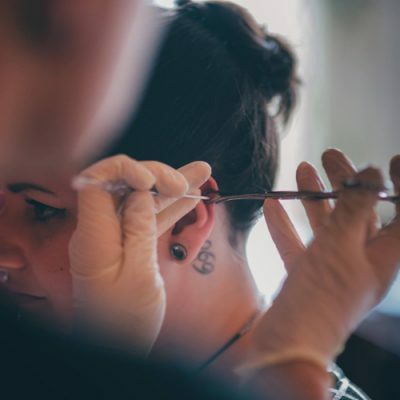 Both our piercers aim to make each customer’s experience as comfortable as possible and pride themselves on their efficient and accurate technique. Many of our clients often comment on how quick, clean and relatively pain-free our piercings are. All well behaved and brave clients get a free lolly so don’t forget to ask for yours!